Yet whenever I play with amateur golfers, I so often see them making unnecessary moves in their golf swing. For example, the take-away should be the easiest move in golf because everything moves from the movement of the shoulders. But so often, however, I see golfers use their hands to start the swing. I see golfers swaying way off the ball to start their swing. I see golfers roll their forearms over to start their swing. I see a lot of things that should never happen, and these things make it so hard to hit consistently good golf shots. How can you, then, simplify your swing? Well, I believe you should start with your grip, by getting a formed grip product and practicing forming the perfect grip over and over again. 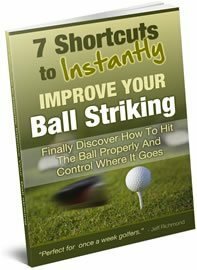 With enough repetitions you will have a perfect grip and you can rule that out as far as any ball striking problems are concerned. Then you move onto grooving a consistent ball position. Make a good ball position a habit, so you just setup naturally with the ball in a great position to hit a good shot. You can figure all of this out for yourself. I did it, and so can you. Naturally it’s going to take you a lot of time and trial and effort to figure it out, but it is doable. 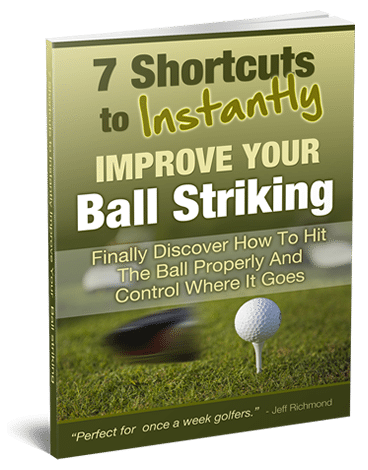 However, to save yourself a heck of a lot of time and effort to build a simple and consistent golf swing, I have a full step-by-step plan to help you build a consistent golf swing in the fastest possible time. To find out more about my long game improvement program, simply go here.